Resort fee is subject to change without notice, please consult with Sales Department for further details. Harborside Studio – This unit has a queen-sized bed with a living room, sleeper sofa, kitchen area with a stove burner, microwave, fridge and coffee maker. Harborside One Bedroom with Partial Kitchen – This unit features a small kitchen area with one stove burner, microwave, fridge, coffe maker, dining room table, living area with a sleeper sofa and a separate bedroom with a king bed and a patio. Harborside One Bedroom with Full Kitchen – This spacious one-bedroom condo features a full kitchen with breakfast bar area, dining area, living room with sleeper sofa, and separate bedroom with a queen bed. This unit also includes a washer, dryer and a patio area. Harborside Two Bedroom – This spacious condo features a full kitchen with all equipment you would find at home, including a full-size fridge freezer, washer and dryer. A breakfast bar along with a dining table, living room with a sleeper sofa, two bedrooms each with a queen bed and two full bathrooms as well as a patio to enjoy the view. Harborside Three Bedroom Condo – These beautiful. split level units comprise of a full kitchen with all necessary utensils and equipment including a full-size fridge, freezer, breakfast area, dining area and living room with a sleeper sofa. They also include washer and dryer. One bedroom is located on the first floor with a full bathroom while two additional bedrooms, each with their own full bathroom, are located upstairs. These units have two patio areas to enjoy the views either across the bay or the marina. Due to the high demand of the hotel, we recommend making reservations as far in advance as possible, Your company representatives, guests, and friends may book your reservations by calling the hotel directly at (813) 922-6000 and mentioning that they are booking through EAST BAY RACEWAY. The hotel has a 72 hour prior to arrival cancellation policy. All reservations must be guaranteed with a valid credit card. 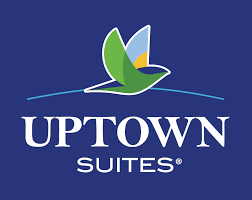 Any reservations that are not cancelled within the grace period are charged a fee equal to one night’s room and tax to credit card provided upon making reservation. All room views are dependent upon availability and complimentary marina view upgrades may not be available during peak seasons and weekends. Efforts will be made and preference will be given to any guests booking through this negotiated rate. Should a guest wish to guarantee a marina view, a $25 per night guarantee fee will be charged. For your added comfort, Little Harbor Resort is please to offer our guests a 100% Smoke Free Environment. If your guests should decide to smoke within our guest rooms, a $250.00 per day cleaning fee will be added to the lodging bill.